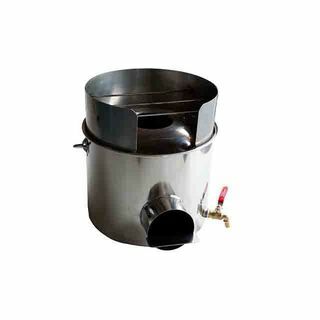 The Rocket Boil 'N' Cook portable food cooker™ is designed to provide a variety of cooking options and boiling water for drinking at the same time! The unit is robust, making the ideal portable campfire cooker and it is fuel efficient – you can use small sticks, charcoal or any flammable material. NOTE: The Rocket Boil 'N' Cook™ package does not include pots, woks or other cooking utensils.